The Boston Major 2016, a long-awaited Dota 2 tournament, is going to start on December 3. Valve like to venue their tournaments in different parts of the world. Their first Major took place in Frankfurt, Germany, the second one in the biggest Chinese city Shanghai, and the third one on Philippines, Manila. 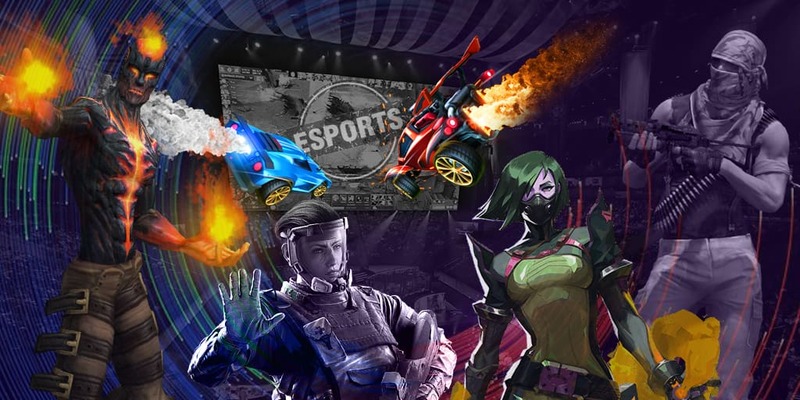 The upcoming major tournament is going to take place in Boston, hosted by Wang Theatre. Unfortunately, not all Valve tournaments were prepared in a proper way. For example, during the second Major - The Shanghai Major 2016, organized by Perfect World, players complained about poor soundproofing which interfered the effective game. Commentators also complained about problems with sound. The most scandalous situation happened when someone stole personal things of the players. All these factors made the organization of the tournament one of the worst ones. However, the next Major tour and The International 2016 proved that Dota 2 tournaments supported by Valve can be interesting and organized properly. The players and fans should be grateful to PGL company which organized the previous two tournaments. Only the best teams are invited to this tournament. Current Dota 2 world champions Wings Gaming and vice champion Digital Chaos will join the event. 2015 champions Evil Geniuses, 2014 champions NewBee, two-times Major champions OG and champions of The Summit 6, Virtus.pro also are the participants. Other teams can be proud that they have passed the qualifiers with a fantastic level of competence or that they received a direct invitation as Valve sent them only to the most promising rosters. The prize pool of the tournament, like in other Valve majors, is $3,000,000. This is not the biggest prize for the event, still it is quite a significant reward. The distribution of the prize pool was modified. During the previous tournaments, prize for the first place was $1,110,000 (37%), now it is $1,000,000 (33,33%). The group stage is scheduled on December 3-4. 16 players will be divided into 4 groups with 4 players in each. The double elimination bracket is chosen for every group, while the matches will be played in best of three (bo3) format. The main stage is scheduled on December 7-10. The best teams of the group stage will be seeded into single-elimination bracket. All matches will be played in best of three format. The grand final will be played in best of five format. The name speaks for itself. These five teams are undeniable favorites of the tournament and have the biggest chances to win according to the analytics and bookmakers. The coefficient is the lowest for them: from 2.6 to 5.5. Some of the teams have 30 times lower coefficient. Wings Gaming — current world champion. They have already shown that to win they need to have 70+ heroes in a pool and the ability to adapt quickly to any situation. Virtus.pro — the team has been gathered only 4 months ago, but it has already won a championship. This is the main favorite of the event according to the bookmakers and analytics. The teams which have good chances to hit a win although having higher coefficient have been added to this group. All of them have 17 coefficient. The teams which have almost no chances to win have been added to this group. Still, they have at least some hope to show a surprising result. The teams have from 20 to 40 coefficient. These teams have none chances to win. Besides, there are chances that they will not even manage to pass to the main stage through the qualifiers. The coefficient for the winning of these teams lies between 60 and 90.